Keen to buy African? 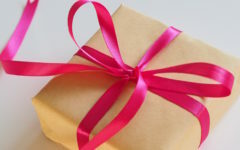 We present our latest discovery of gifts with an African connection: you should find something in here for most people you love! Here’s a great addition to any beach lover’s bag. 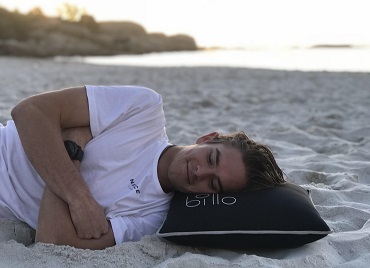 A brand new creation by two Cape Town students, this stylish pillow made from neoprene (wetsuit fabric) is hardy, handy and has a secret pocket in which to store your valuables. Free delivery in Stellenbosch and within 5km of Cape Town’s southern suburbs, or arrange to pick up in Constantia. South African graduate Julia Armstrong is determined to clothe women with dignity, helping them ‘feel good, full of life and inspired to live whole lives’! 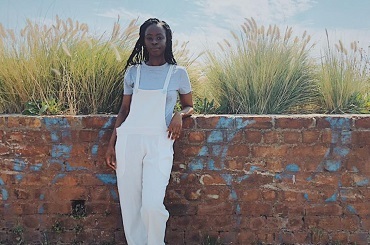 She designed these sleek yet cheeky dungarees to celebrate the true story of her friend Nophiso who, while despairing in LA, came across an American guardian angel who ended up helping her in staggering ways. How did they start talking to each other? The lady loved her dungarees! BRAhSSE was originally started by university students with the aim of uniting different cultures and backgrounds – an important initiative for South Africans! So why not sport a brand that not only reflects street trends but supports the country’s multi-heritage landscape? Get in now before everyone’s wearing them. Where? Purchase online at www.brahsse.com The company charges R40 delivery anywhere in the Cape Town area, or you can collect from Bishopscourt or Stellenbosch for free. And yes, they can post to elsewhere in South Africa and international deliveries are in the pipeline. 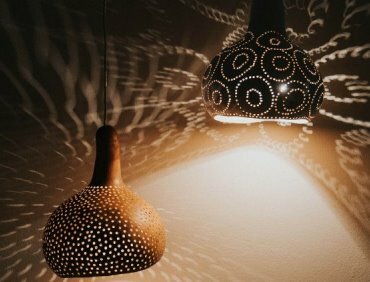 How seductive are the warm freckles of light and joyful patterns spread by these calabash lightshades? And they’re eco-friendly, too, darlings. Every shade is made from the gourd of a calabash fruit, making it a one-of-a-kind work of art. Bring a touch of Africa to your home with the hanging lightshade, or get one without the electrics to jazz up your space as a freestanding ornament. It could be hard to find a laptop bag as sustainable as this one. 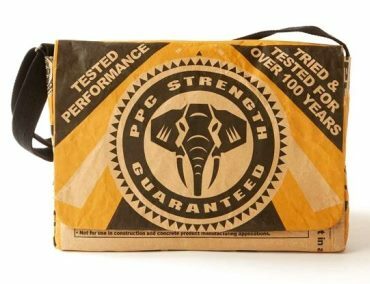 And you’re right if you thought the cover design looked like a PPC cement bag: it used to be one. 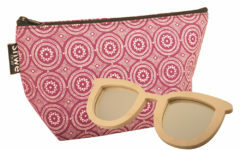 The bag is one of a number of biodegradable items made from treated paper by Wren Designs. 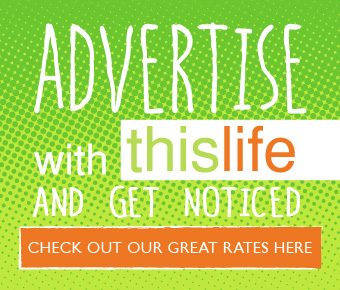 We like! Where? Online at www.thewrendesign.com. If you want to feel it first, visit The Collective at The V & A Waterfront’s Watershed, Cape Town. Otherwise make an appointment and head to 10 Rhodesia Road, Muizenberg, Cape Town for a nice little look around the studio. 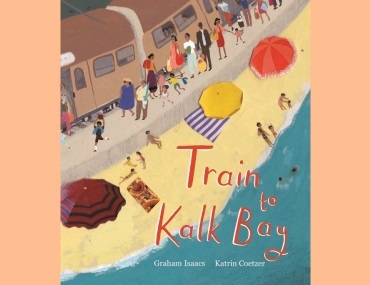 A beautifully illustrated book, Train to Kalk Bay tells the story of a boy’s adventures around the city of Cape Town with his family. Small people all around the world are likely to enjoy this (and their parents too). 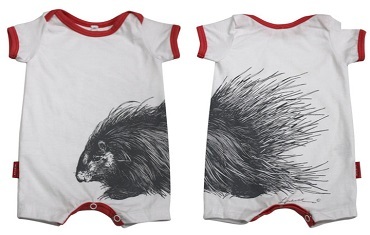 These Africa-inspired babygrows are adorned with different animals and available in various colour combos. 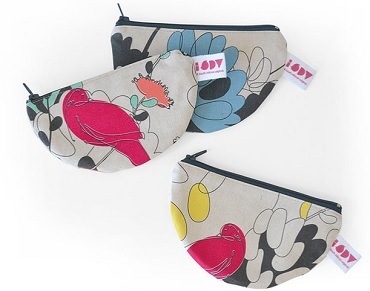 The arresting original illustrations by Lyndall McCarthy are screenprinted onto 100% cotton. The babes might be too young to appreciate them, but you can bet the parents will. 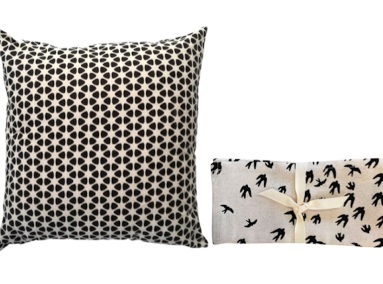 Dotty cushion or the napkin life? Pop up your life with retro cushions or quality napkins screenprinted onto 100% cotton base cloth in South Africa’s Mother City. Where? 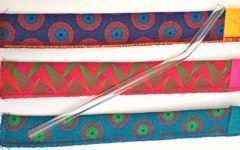 Head to indigidesigns.com to purchase these and other Indigi items. Don’t teeny booties make you want to find a baby’s thigh to squeeze? No? Oh go on, babies are cute, at least for a while. 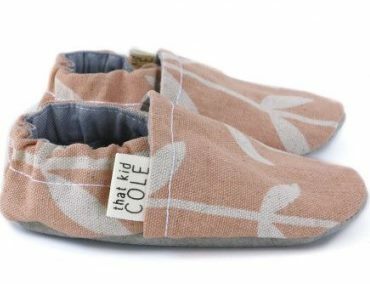 Made by That Kid Cole using Skinny laMinx fabric cut offs, the shoes have leather soles and soft cotton elastic. A cool way to treat your gurgler or someone else’s. Where? Shop these shoes and more at skinnylaminx.com or visit their store in Bree Street, Cape Town. 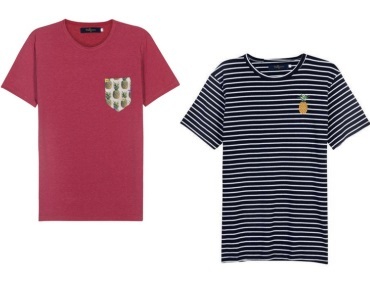 Add flair and individuality to the wardrobe of a guy you know with these vintage-inspired tees designed and produced in Cape Town. Creator Adrian Henke has been in the tailoring industry for more than 25 years and had the privilege of dressing Richard Branson so we’re satisfied regarding his expertise. So here’s another t-shirt option as you may not want to miss out on being part of this attractive initiative. 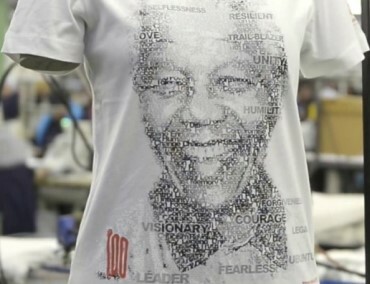 One hundred years since the birth of iconic giant Nelson Mandela, a Mandela 1 Million T-Shirt Campaign has been launched by Cape Town’s TCI Apparel Design Centre. It’s manufacturing a million of these shirts to distribute globally, kitting out people all over the world with Madiba’s lovely words. So you’ve got a message of peace plus significant job creation: maybe don’t turn this one down! We all know people who can’t live without moisturising their skin. 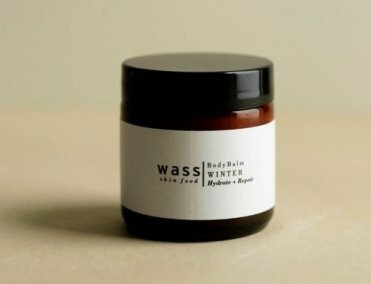 This one’s for them: Hydrate and Repair Body Balm by Cape Town’s Wasskin, made with botanical oils for intense hydration and also, they say, stiff muscle relief. Never tested on animals, only the Wasskin team, their friends and test volunteers.